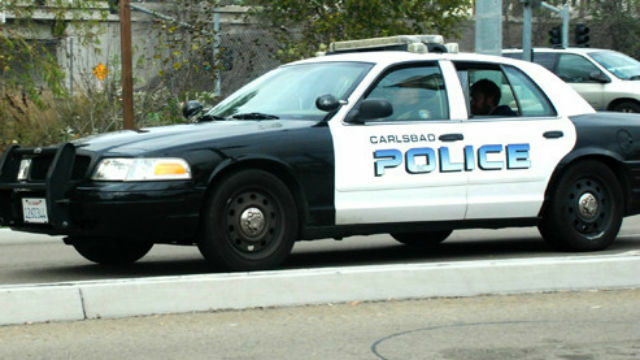 Carlsbad Police Saturday arrested a man on suspicion of burglarizing two homes on a suburban street in the early morning hours. At 5:30 a.m., a woman called police after she found a purse and wallet had been taken from her home in the 6400 block of Torreyanna Circle while her family slept, according to Lt. Christie Calderwood of the Carlsbad Police Department. Responding officers found a man they deemed to be suspicious on nearby Mariposa Road, Calderwood said. The man allegedly was found with items from two separate homes on Torreyanna Circle. Officers also allegedly found that he entered multiple unlocked vehicles in the area, but did not take any property from them. All stolen property was returned to the owners, Calderwood said. The suspect, identified as 27-year-old Oceanside resident Trevor Joseph Wilson, was arrested on suspicion of burglary and narcotics possession. He was taken to the Vista Detention Facility, where he is being held in lieu of $25,000 bail.